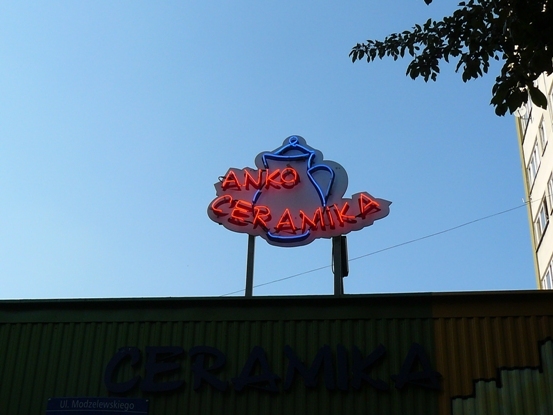 Ceramika Artystyczna (ceramika Bolesławiec, polish pottery Boleslawiec) - Artistic Ceramics opened its production in 1954 in the former factory "Paul und Sohn" (1893 -1945). 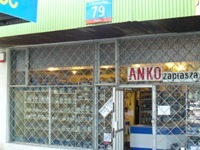 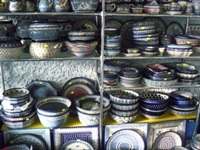 The assortment of produced vessels includes numerous museum copies and traditional forms as well. 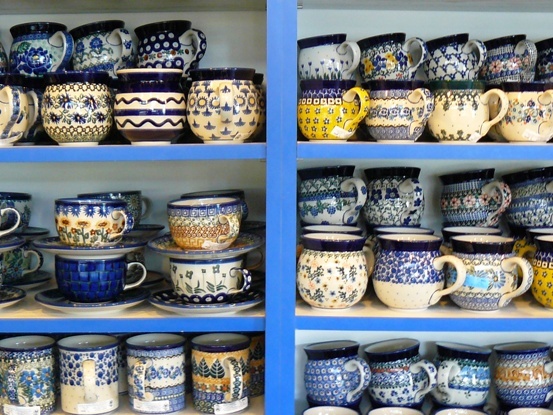 Stamped pottery decorates with the famous "eye of peacock's tail" motif has been produced in Boleslawiec since the beginning of the XlX-th century and it is placed among the finest examples of European pottery. 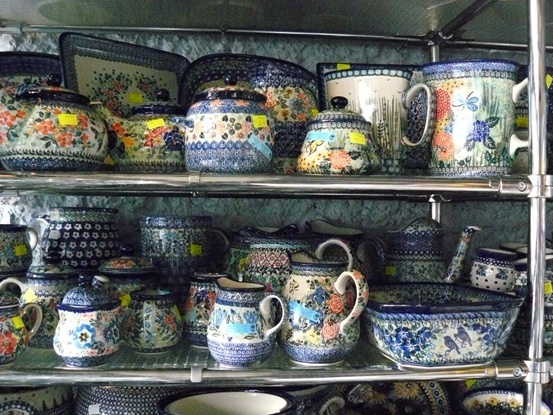 Village crafstmen and peasants of Lower Silesia inspired by peacock's feather motif have given to the objects of common usage incredible strength and beauty so they have been raising admiration and fascination until nowadays. 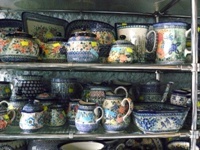 This pottery is hand-thrown and hand-decorated. 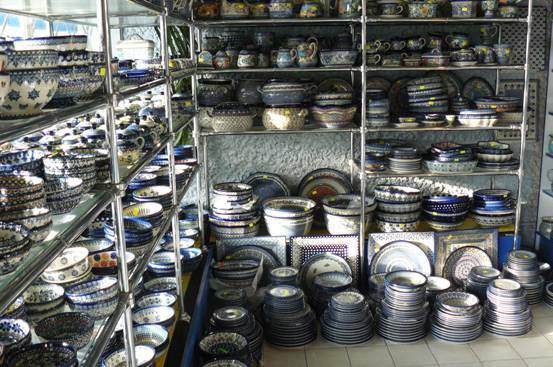 We manufacture hand-stamped baking dishes, bowls, mugs, butter dishes, pitchers, plates, soup cups, candlestic, miniatures veses... High baking temperature (1250°C) makes these vassels durable, impermeable and capable of being used in dishwashers and traditional microwave ovens. They are thermostatic and cadmium- and lead- free.